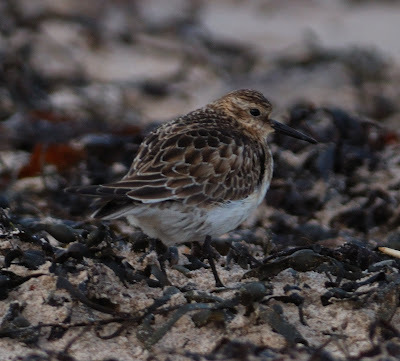 Dennis Morrison very kindly emailed me these images taken today of the wintering first-winter BAIRD'S SANDPIPER in Lothian - at White Sands Bay, just north of Barns Ness. 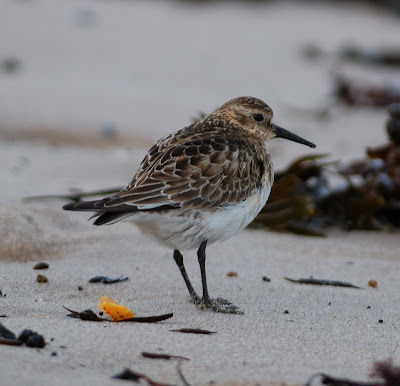 It is only the second ever occurrence of overwintering by this Nearctic species in Britain. Apparent THAYER'S GULL in County Galway !